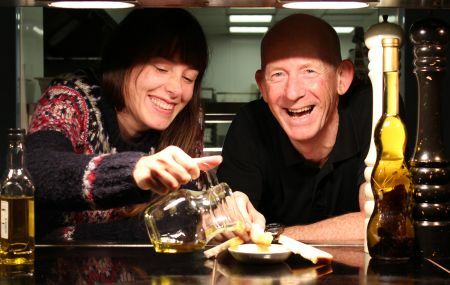 Researchers at the Universities of Glasgow and Lisbon and Mosaiques Diagnostics in Germany teamed-up to study the effect of olive oil, an ingredient central to the Mediterranean diet, on heart health in a group of non-consumers. 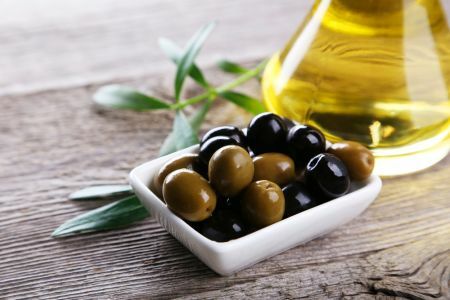 The study, published in The American Journal of Clinical Nutrition, was set up to examine the effect of phenolics, natural compounds found in plants including olives, on heart health. Phenolics, along with monounsaturated fatty acids, are thought by the Federal Drug Administration in the US and European Food Safety Authority to be responsible for the protective effect of olive oil. The researchers recruited 69 healthy volunteers who were split into two groups and asked to consume 20ml of olive oil either low or high in phenolics every day over a six-week period. A particular feature of the study was the target group studied: healthy individuals who did not regularly consume olive oil. The research team applied a new diagnostic technology to study the impact of the oil supplements on health: urine samples were examined for a range of peptides (produced by the breakdown of proteins) already identified as indicators or biomarkers of diseases such as coronary artery disease (CAD), chronic kidney disease (CKD) and diabetes. A particular strength of this approach – a field of study known as proteomics – is the identification of altered levels of certain proteins, with changes used to flag-up the early manifestations of disease, before symptoms have appeared. The results showed that both groups saw a big improvement in scores for CAD – the most common form of heart disease. The proteomic biomarkers developed for clinical diagnosis by private firm Mosaiques Diagnostics produces a CAD scoring system from 1: the ultimate case of CAD to -1: the ultimate healthy artery. The group taking the low phenol olive oil saw a drop in CAD score from -0.5 to -0.8 while the high phenol group saw a reduction from -0.6 to -0.8. Dr Emilie Combet of the School of Medicine at the University of Glasgow, said: “What we found was that regardless of the phenolic content of the oil, there was a positive effect on CAD scores. In the population studied, any olive oil, low or high in phenolics, seems to be beneficial. The fatty acids are probably the main contributors to the observed effect. “Our study was a supplementation study. If people in the UK replaced part of their fat intake with olive oil, it could have an ever greater effect on reducing the risk of heart disease. ‌Dr Bill Mullen, of the Institute of Cardiovascular & Medical Sciences, said: “If we are able to identify the early signatures of diseases before they have had a chance to take hold we can start to treat them before they become a problem requiring costly medical intervention. Producing hard evidence that a change in diet can produce a measurable health benefit has been extremely difficult. None of the conventional markers of CAD changed in this study. Dr Mullen added: “This is one reason why is it difficult to convince people to change their diet, they can never see an effect. We have shown, for the first time, how proteomics can successfully be used to measure the health effect of food in a small study group after only six weeks. “We believe that use of proteomic biomarkers to assess the health improvements brought about by changes in diet, and potentially exercise, could provide an incentive for people to change their lifestyle. It also provides a means of testing so called health foods, which can be more accurately labelled to allow informed consumer choice. The researchers hope that tests such as this will eventually be used by the NHS to screen people for the early signs of a whole range of diseases from a single urine sample but at present the upfront cost is prohibitive even though it could provide long term savings. The project ‘Azeite+Global’ coordinated by Sovena Portugal – Consumer Goods, S.A., the company that produced the olive oil used in this study, was funded by QREN (nº 12228) and was executed in collaboration with iBET (Instituto de Biologia Experimental e Tecnológica), Portugal and the Pharmacy Faculty of University of Lisbon, Portugal. Mosaique Diagnostics developed the technology used in this project.